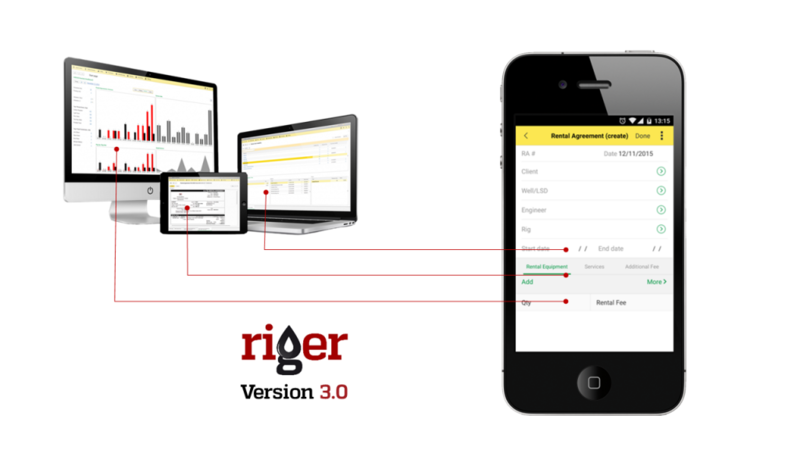 RigER (Rig Equipment Rentals) is an oilfield operations management software for energy service companies. with serial numbers tracking; conduct performance analysis, and more. Schedule Services Sooner, Dispatch Jobs Quicker, Invoice Clients Faster, and Get Accurate Reports! 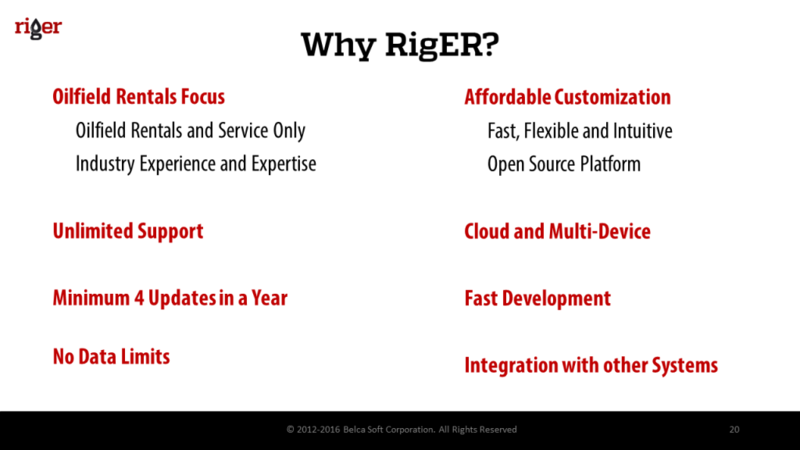 We started RigER as a project in 2012 from market research and product concept. We found that most of the existing solutions were focused on oilfield service only and/or were very complex and expensive. 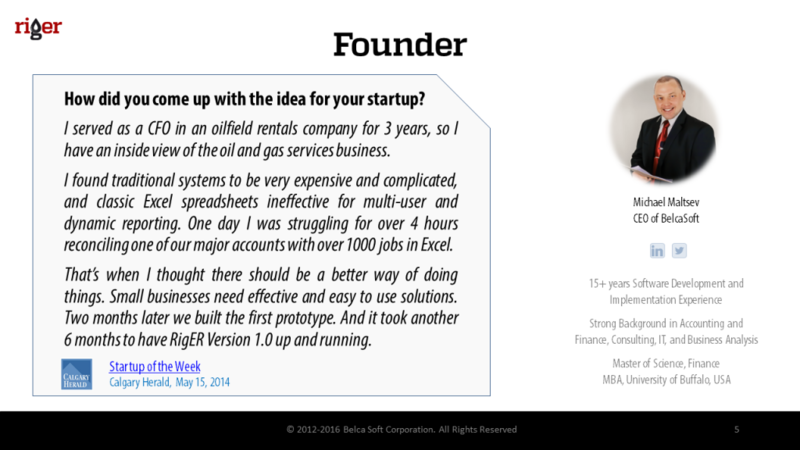 We took on this challenge as a great opportunity to build an affordable software solution for oilfield rentals. Michael Maltsev, RigER Founder and CEO, has an extensive software development and energy service experience. Before RigER, he served as CFO at an oilfield rentals company and has the inside knowledge of the Oil & Gas service and rentals needs. Read his interview in Calgary Herald: Start-up of the Week. 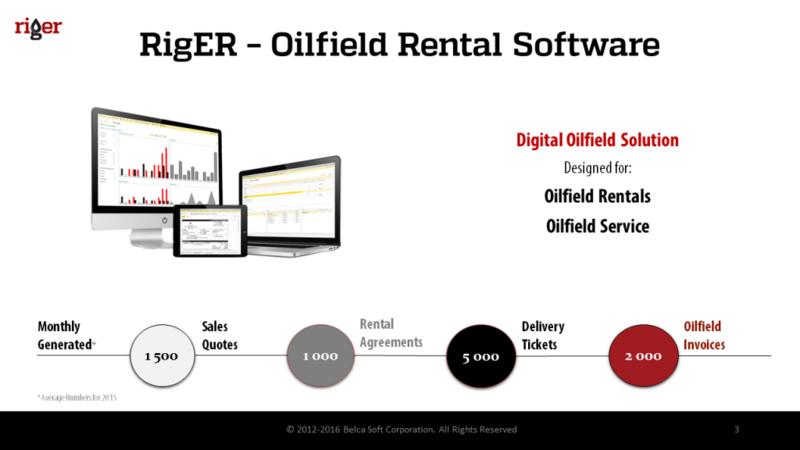 We develop RigER as affordable, customized and reliable solution for oilfield rental business. Basic focus of our product is increasing operational performance and entire value of client’s business. 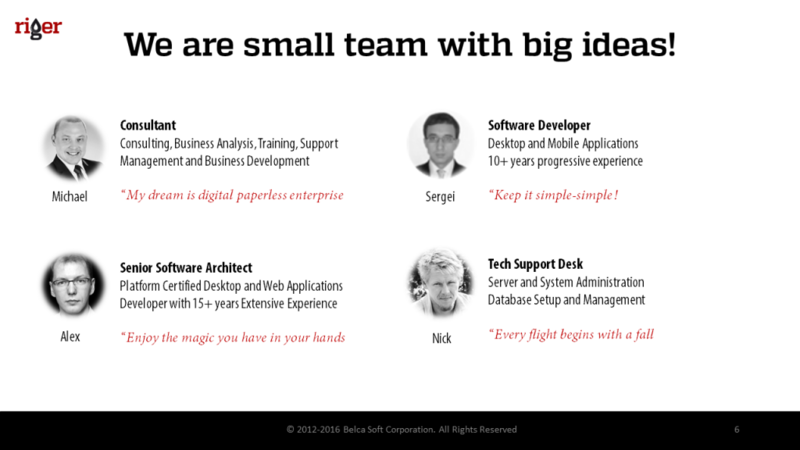 RigER utilizes a distributed team approach for fast development and efficient product support. We Treat our Clients as Our Partners – ROI, Cash Flow and Performance Focus! 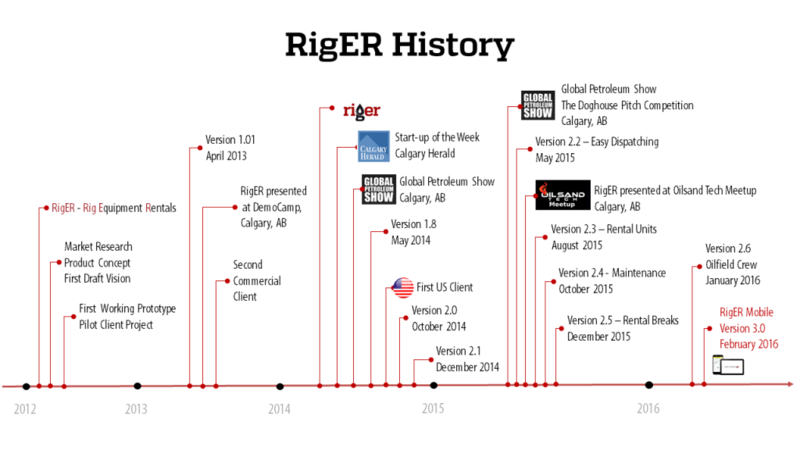 RigER is Growing Rapidly in Canada and USA. RigER Mobile is the Next Step of Our Product Development. 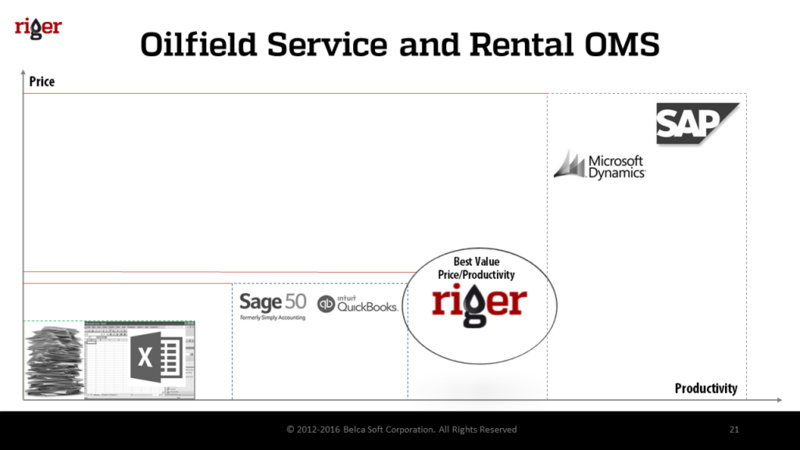 and we will show you how you can take advantage of RigER and boost your Oilfield Rentals!